You’ve been mesmerised by the Minster, shuffled down the Shambles, and wandered around the walls … you may be forgiven for thinking that York’s history stopped sometime around the time of the Tudors. You’d be wrong. Andrew and I checked out five of York’s military museums to get under the skin of our city’s World War II and Cold War history. Here’s what we found. Disclosure: Many thanks to Visit York, who kindly provided Andrew and I with a York Pass each to cover our entry fees. As ever, all opinions expressed are my own. Prices of individual attractions correct as at October 2017. A couple of miles from the city centre, the York Cold War Bunker was active from 1961 all the way through to 1991. Its purpose? It was one of 29 UK sites designed to notify Britain if it had been the target of a nuclear attack, and measure the fall-out if it had! This joyous task was the job of the now-disbanded Royal Observer Corps (ROC). If the worst had happened, the ROC had the rather unenviable job of being cooped in this underground bunker for 30 days whilst completing their nuclear fall-out monitoring duties. Monitoring any potential nuclear fallout – as you do! Fortunately the Cold War didn’t heat up to that extent, and Andrew and I were glad we didn’t have the job of checking radiation levels by “just nipping outside to look at the monitor”, and then “decontaminating” with water. Apparently this was one of the few ways to guarantee getting a shower in the bunker, such was the limited water supply. Now decommissioned – the York Cold War Bunker is run by English Heritage, with entry through an hour-long guided tour. Adult tickets go for £7.50 + £0.80 gift aid. Many of York’s military history attractions can be visited with a York Pass, which can be a worthwhile investment if you’re also visiting some of York’s pricier attractions over a few days. 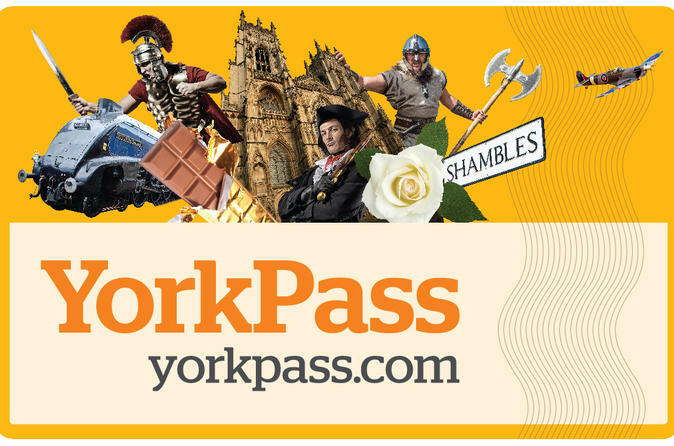 You can buy a York Pass through this link, at no extra cost to you. By doing so I receive a small commission, which helps to keep The Gap Year Edit website running. – who can resist dressing up? In the city centre at the base of Clifford’s Tower, near York’s city walls, is the York Army Museum. The Museum focuses on 300 years of history of the Army in Yorkshire. There are some great interactive displays and powerful videos, which bring the realities of war to life. For something a little more light-hearted, we had a lot of fun dressing up in camouflage gear. What’s not to love about that? The entry fee for adults is £5. Beningbrough Hall sits to the north of York – an easy trip by bike, as we discovered on a previous visit. You can also get there by car, or bus. This beautiful stately home, which now houses part of the National Portrait Gallery collection, was requisitioned during World War II for the war effort. Lady Chesterfield moved out, and Canadian aircrews stationed at nearby RAF Linton on Ouse moved in. Many of the crew sadly didn’t return from their bombing missions over Germany – the Hall still honours them today with a very moving exhibition in one of the upstairs rooms. On a lighter note, Beningbrough also has some gorgeous gardens, a rather fine tea room, and other stately-home-esque exhibitions. Entry to Beningbrough Hall costs £11.80 + £1.20 gift aid. Over to the east of York, The Yorkshire Air Museum is located at what was once RAF Elvington. Elvington, like Linton, was also used in World War II as a base for Allied bomber crews. As the name suggests, the museum houses some rather fine examples of legendary WWII aircraft – the Halifax, Spitfire, Dakota, Handley Page Victor … they’re all here. Go on a “Thunder Day” to hear their engines roar! The Handley Page Victor at the Yorkshire Air Museum. Photo courtesy of Visit York. Along with the aircraft themselves, you could spend hours wandering around the hangars taking in the varied exhibits – don’t miss the Bomber Command! The Allied Air Forces Memorial is also on site. The Yorkshire Air Museum is priced at £10.00 for adults. Nowadays, Eden Camp styles itself as a “Modern History Theme Museum” but it was originally built in 1942 as a Prisoner of War Camp. During World War II, Eden Camp housed Italian and, later, German Prisoners of War. Exhibits are spread out over the site’s 29 huts – wrap up warm if you’re there in Winter, as they’re not heated! It’s a fascinating look into wartime life: for the British, and also for the POWs who lived in the camp. Eden Camp is located further east of York, and just north of the market town of Malton (a good foodie destination). It costs £8.50 for adults. If you’re in that neck of the woods in October, don’t miss Pickering’s 1940 Wartime Weekend. Pickering is six miles north of Eden Camp. To help you get the most out of your visit, pick up the Insight Guide to York before you arrive. Help the site by buying the guide through this link, at no extra cost to you. Tearfully moving at times, joyous at others, visiting York’s military museums brought home just how big a part the city and its surroundings played during World War II and the Cold War. As an alternative from some of York’s more widely known attractions, we’d highly recommend you quick march to at least one of them, pronto! Which York military museum sticks in your mind the most? What made it so memorable? Let us know in the comments below. If you liked this article, why not subscribe to The Gap Year Edit newsletter? Simply fill out your email address in the box below. Enjoy free entry to 30 top York attractions with the York Pass - available in 1, 2 and 3 day formats.